100% made in the U.S.A. Our new American made top quality, high performance jump mats are now available. Our maximum air-flow jump mats allow for 15 x greater airflow for ultimate performance and all American materials are the very best quality money can buy. Made especially for the IGT systems, our new jump mats fit like a glove and stand up to all elements from the intense heat and UV exposure of the southwest to the freezing cold, snow and ice of the northeast. Buy with confidence. 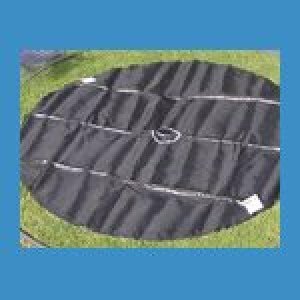 We offer the only in-ground trampoline jump mat available with a warranty. Only $239.00.